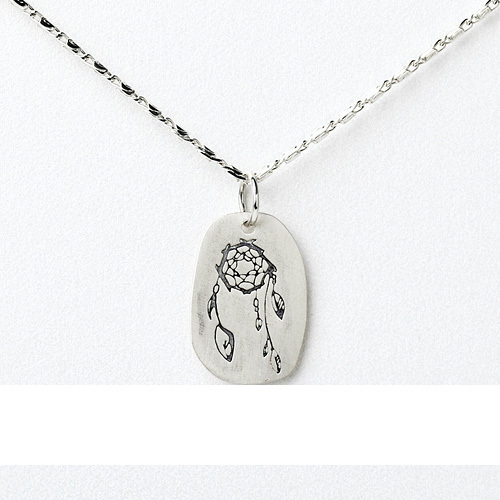 Dogeared Free Spirit Sterling Silver Dream Catcher Necklace. Card Message: you are a true original... fearless, passionate, and free. Wear your necklace as a reminder that life is a daring adventure. Enjoy your journey! 32" Sterling Silver Deco Chain. 3/4" x .5" recycled sterling silver rectangle pendant. Subtle engraved dreamcatcher.